Red and green, the classic of colors of Christmas, are beautifully displayed in this glorious array of red roses accented with the season's freshest greenery. Artistically arranged in a glass vase that will be a favorite for bouquets year-round. 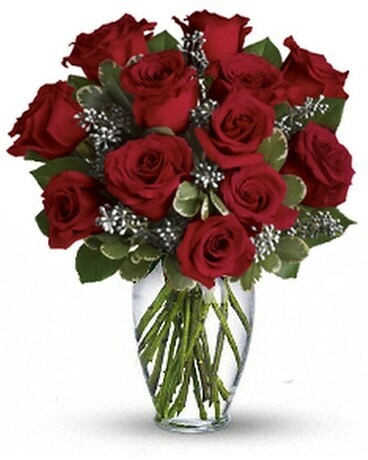 The spectacular holiday bouquet features 12 red roses accented with assorted greenery.